Endodontic treatment has now been completed. The root canal system has been permanently sealed. However, the outer surface is sealed with a restoration. 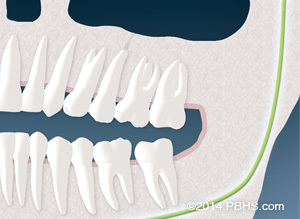 A follow-up restoration, usually a crown, must be placed to protect your tooth against fracture and decay. Please telephone your restorative dentist for an appointment. A complete report of treatment will be sent to your restorative dentist. Your tooth is more prone to fracture immediately after endodontic treatment. You should chew on the other side until your restorative dentist has placed a protective restoration, usually a crown. If your tooth’s strength is seriously compromised, your endodontist or restorative dentist may place a post and core build-up inside the tooth. Your restorative dentist and endodontist will determine the appropriate restoration to best protect your tooth. 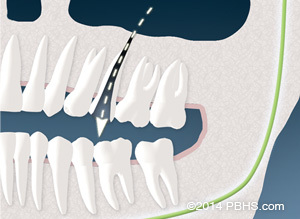 Are There Any Potential Problems After Endodontic Treatment Surgery?